Looking for a Drug Rehab or Alcohol Treatment Facility in North Dakota? Deciding to enroll in a drug rehab in North Dakota is a significant step in overcoming drug and alcohol addiction. The process of turning your life around through addiction treatment is a life-changing undertaking. For this reason, you'll want to speak with one of our rehab advisors. Our skilled staff will be able to discuss the many options available throughout North Dakota. They will also go over the various types of rehabilitation methods such as short-term and long-term care as well as inpatient vs outpatient treatment facilities. Annually, the National Survey of Substance Abuse Treatment Services (N-SSATS) conducts a study of each state's drug and alcohol treatment programs. According to the 2013 North Dakota State Profile from N-SSATS, there were 65 substance abuse treatment facilities at the time the survey was taken. Many facilities provide more than one type of care; of 65 drug and alcohol treatment programs in North Dakota in 2013: 59 offered outpatient rehabilitation services, 20 offered residential or inpatient treatment, and 6 offered hospital inpatient care. Over the years, methamphetamine abuse and addiction rates have continued to be an issue in North Dakota. This is especially true in western and southwestern areas of the state. Statistics from the 2014 Treatment Episode Data Set (TEDS) shows that following marijuana addiction treatment enrollments, amphetamine enrollments were the second leading illegal substance sending residents into treatment. Likewise, data from the North Dakota Department of Human Services reveals that 59 children in 9 southwest counties were entered into foster care for parental substance abuse as of June 2015. Parental substance abuse has become the primary reason behind a large percentage of North Dakota children being entered into foster care. The Department of Human Services estimates around 40% of the children in foster care from southwest North Dakota counties are there due to parental substance abuse problems. Alcohol treatment in North Dakota provides knowledge and support for the alcoholic. The process of alcohol addiction rehabilitation helps the person meet their goal of sobriety through education, therapy and the development of healthy alternatives to handling stress. The right alcohol treatment program in North Dakota will help the individual to recover and repair the damage their addiction has brought to their lives. Typically, the first step of alcohol treatment is detoxification. The process of detoxification effectively removes the remaining alcohol in the person's system. When complete, the individual is ready for to begin their rehabilitation program. The 2013 N-SSATS North Dakota State Profile indicates there were 54 treatment programs in the state able to address alcohol addiction at that time. The report goes on to state 26.1% of the clients in treatment were "clients with alcohol abuse only" as their reason for receiving treatment. Data from the 2014 TEDS survey on substance abuse treatment admissions in North Dakota notes 25.4% of all enrollments that year cited alcohol as their primary substance of abuse. Similarly, 18.5% of the clients in treatment that year cited alcohol with a secondary drug as their reason for enrolling in drug rehab in North Dakota. Alcohol addiction treatment is possible with the help of the right program. Speak with one of our specialists to find out more about your alcohol treatment options in North Dakota. Deliberating between inpatient vs outpatient treatment in North Dakota? The decision can be difficult without understanding the differences between the two. Inpatient treatment in North Dakota affords clients around-the-clock care and support during their recovery. Program participants leave home and move into the rehab program to focus full time on overcoming their addiction. While enrolled in the inpatient program, the client can expect to live in a substance-free environment. They will also have a daily routine focused on their rehabilitation program, with periods for meals and free time allotted for. One of the greatest differences between inpatient vs outpatient treatment in North Dakota is that in outpatient treatment the client continues to live at home. Program participants can keep many productive aspects of their life intact during this type of treatment, such as their job or schooling. Many addicts are drawn to this style of treatment because it is usually less expensive than inpatient treatment and it does not require the full time commitment of inpatient rehab. Also, they do not need to upend their personal life to enroll in outpatient treatment. Research on inpatient vs outpatient treatment in North Dakota will turn up a number of different statistics. National surveys provide insight on which type of treatment program will ultimately offer the greatest chance of long-term sobriety. In the study conducted by the Health Economics Resource Center published in 2008, it was found that while inpatient treatment produces considerably better outcomes, more and more people are choosing outpatient treatment programs. The study concluded the choice to enroll in outpatient treatment often came down to lower cost for the program participant. What Does Inpatient Rehab in North Dakota Involve? Generally, inpatient programs last a minimum of 28 days. And, depending on the program can go on a long as 90 days or more. The client will enroll in the program and live in the facilities safe, secure structured environment during their recovery. This type of intensive treatment often provides success for individuals who have found outpatient programs difficult to complete or achieve lasting sobriety. Inpatient programs provide clients with a safe setting removed from the stresses of their daily life, which often fuel their desire to use. For many recovering addicts, inpatient treatment is an opportunity to become part of a community of other recovering individuals. These types of programs foster a sense of camaraderie and encouragement among program participants to stay on task. Choosing an inpatient program in North Dakota involves a commitment to focusing on sobriety and making a lasting change to one's way of life. Data from the 2013 N-SSATS survey shows there were 20 inpatient programs operating at the time of the survey. 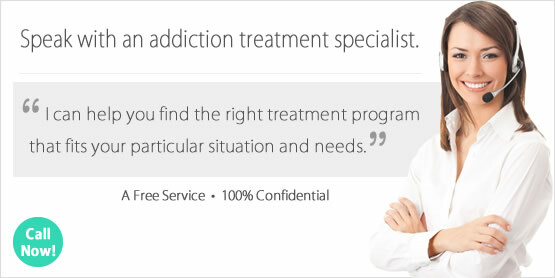 Most inpatient treatment centers provide more than one type of rehabilitation service. Of the 20 inpatient programs in North Dakota at the time, 16 offered short term inpatient care, 18 offered long term inpatient care and 9 offered detoxification services. What Does Outpatient Rehab in North Dakota Involve? While outpatient treatment programs share many similarities with inpatient rehabs, the greatest difference involves the client's ability to remain sober. When enrolled in an inpatient program there are fewer opportunities to relapse during the program because the client lives in the rehab facility. However, with outpatient care the client continues to live at home and must hold themselves accountable for their sobriety when away from the treatment facility. For those who are able to remain substance-free, outpatient treatment provides more freedom and privacy than other types of rehabs. During outpatient treatment the client can maintain their daily commitments to family, work or schooling; all while enrolled in addiction treatment. Because they are able to go home at the end of the day, they experience more anonymity. North Dakota has a number of excellent outpatient treatment programs. The 2013 N-SSATS report on drug rehab programs in the state notes 59 outpatient treatment centers at the time of the survey. Many of these programs offer different levels of care, often ranging from regular to intensive treatment. Of the 59 outpatient programs operating at the time of the 2013 N-SSATS survey, 58 provided regular care, 30 provided intensive care, 20 provided day treatment or partial hospitalization, 7 provided detoxification services and only 1 provided methadone maintenance. Lasting sobriety is possible with the help of a North Dakota outpatient treatment program. Our rehabilitation specialists are available to help narrow down the list of options in your area of North Dakota.